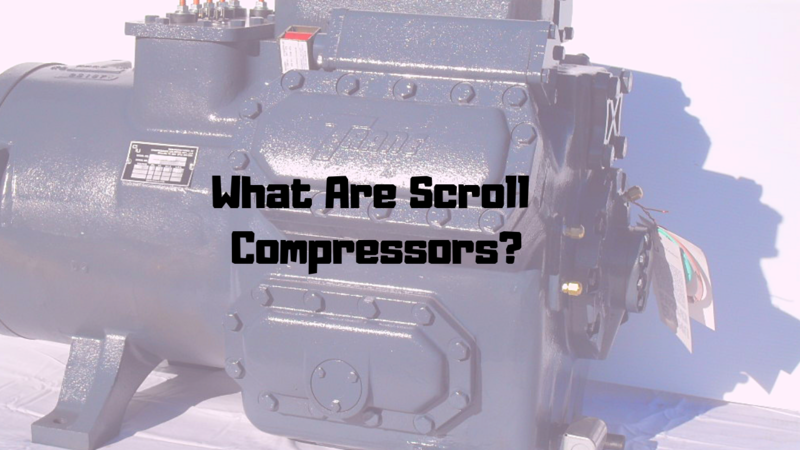 Scroll compressors include two identical spiral-shaped scrolls: a fixed scroll, which is attached to the compressor body, and a moving scroll, which follows a path defined by the matching stationary scroll. The two scrolls are interleaved and in contact with one another to form a number of gradually smaller pockets toward the center of the spiral, where the shaft is located. Because the shaft transmits the rotary motion from the motor to the moving scroll, the moving scroll orbits eccentrically within the fixed scroll, and the refrigerant vapor is drawn into the pockets between the two scrolls. As the refrigerant vapor is transported through increasingly smaller pockets toward the discharge side of the compressor, it is compressed progressively. As a result, the refrigerant reaches the required temperature and pressure levels before it is discharged from the compressor. Radially and/or Axially compliant scroll compressors – Radial compliance refers to the ability of the moving scroll to follow a flexible path that is determined by its contact with the fixed scroll. 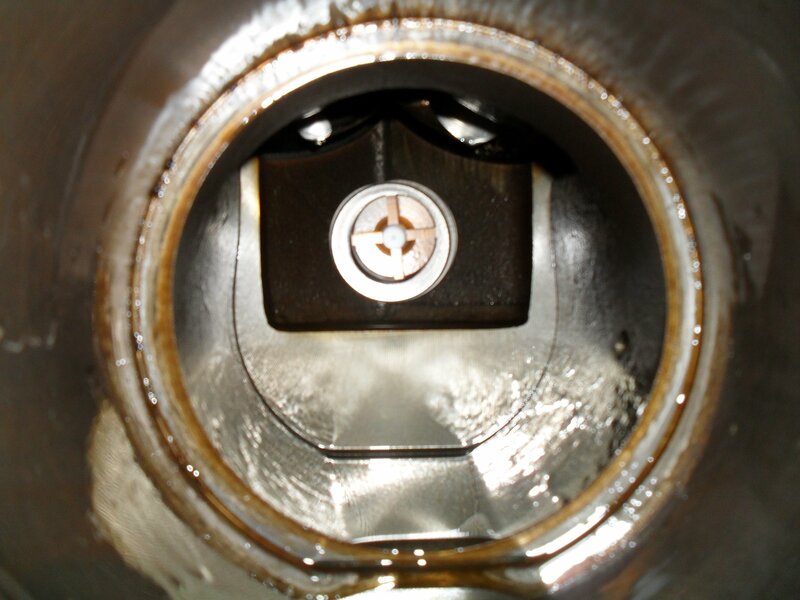 Because the two scrolls remain in contact permanently under normal operating conditions, radial compliance reduces or even eliminates leakage without the use of tip seals. In an axially compliant scroll compressor, the orbiting and stationary scrolls separate from each other in the presence of contaminants. Because axial compliance allows contaminants to pass through, it can improve the reliability and durability of the compressor. The combination of radial and axial compliance can substantially increase compressor efficiency and lifespan. Non-compliant scroll compressors – In a non-compliant compressor, the moving scroll follows a fixed path that prevents it from coming in contact with the stationary scroll. Single-stage scroll compressors – Because single-stage compressors operate at only one speed, they are the simplest and least expensive types of scroll compressors. Dual-stage scroll compressors – Dual-stage scroll compressors operate at two different speeds. This means they can match their cooling output more closely to thermal loads. While the ability to run at a lower speed makes a dual-stage compressor more effective at removing moisture, switching to full capacity when required allows the compressor to maintain more stable temperatures, while also saving energy. Variable-speed scroll compressors – The variable-speed technology controls the capacity of compressors by modulating the speed of the compressor motor in very small increments over a wide operating range. Besides delivering maximum cooling efficiency, variable-speed scroll compressors can save a lot of energy compared to single-stage units. Single-stage, dual-stage and variable-speed scroll compressors are available in different configurations that can be applied in various ways to meet specific needs for efficiency, comfort and affordability. For instance, tandems or trio sets of scroll compressors is a common modulation method that can be used in commercial and industrial HVAC/R applications to achieve varying stages of capacity and ensure more reliable operation. Lightweight and compact – The simple, straightforward design of scroll compressors translates into more compact and lightweight cooling systems. Quiet operation – Because these compressors include fewer moving parts and don’t have any suction valves, they’re quieter than screw and reciprocating compressors of comparable capacities. High efficiency – Unlike reciprocating compressors, scroll compressors don’t use suction valves and pistons to compress the refrigerant vapor. Because losses at valves and pistons are eliminated, some scroll compressor models achieve 100% of volumetric efficiency. This can significantly reduce energy consumption in many HVAC/R applications. To boost the efficiency of their scroll compressors, some manufacturers have fitted their products with more efficient motors and inverter technologies. Reliability and durability – The simple design of scroll compressors also ensures a smooth operation with lower torque and vibration levels. Less torque and vibration can prevent a series of mechanical issues that typically lead to premature wear and damage to system components. As compressor manufacturers strive to deliver high levels of efficiency and reliability in a market where affordability and regulatory compliance are equally important, compressor technologies will continue to evolve. This will provide increased flexibility in selecting particular types of compressors and technological advances that best meet specific HVAC/R system needs for superior energy efficiency, reliability, and enhanced comfort.